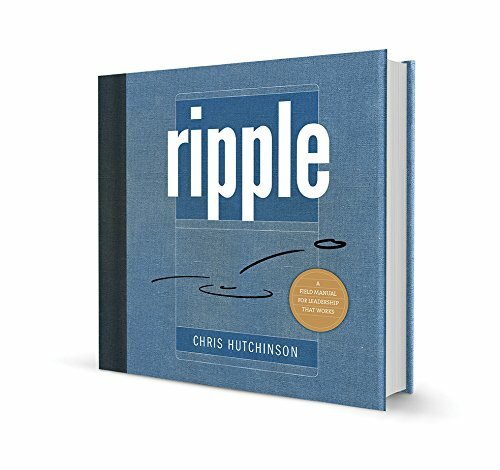 Chris Hutchinson, author of Ripple, is Trebuchet Group's founder and leader. He helps clients through facilitation of small and large group retreats and meetings, coaching and mentoring executive leaders, and presenting on effective leadership and teams. After years of building Legos® and treehouses around the world, Chris went to school for a Mechanical Engineering degree and a Masters in Business Administration. His experiences in the military and the corporate world taught him that great leadership can be learned, that everyone is in some way a leader - and it also ignited a passion for helping people grow and be their best. Chris wants to help create a world where people care for and respect themselves, each other, and the environment. To do so he believes we must inspire businesses to be a positive force in the world. His calling is to model, teach, and support businesses, and the people in them, to be that positive force. Chris strives to create an environment of success for himself and everyone he works and plays with so they can enjoy doing their best work. He’s been described by clients and peers as a visionary, inspirational catalyst for positive change. He is active in Toastmasters International, and is an avid organic gardener, tandem tricyclist, and old house buff. Chris loves having adventures with his wife and their four children. If you are looking for a speaker who will read dozens of PowerPoint slides, Chris is not for you. Instead, Chris goes beyond the typical “intellectual exercise” presentation style. He engages you in evaluating your own approach, uses clear analogies and mental models to help you see things differently, provides simple exercises to get you started, and inspires your wholehearted commitment to improve. His approach is simultaneously practical, comprehensive, and targeted for the “I-already-have-too-much-to-do” leader. With experience in Toastmasters International and hundreds of presentations around the world, Chris regularly receives rave reviews from audiences. Whether you have a group of 20 or 2,000, if you want someone who will take the time to understand your needs and customize a presentation to fully engage your group, let's talk about what would work best. Chris can customize a presentation for you from 30 minutes to 4 hours - depending on your needs.